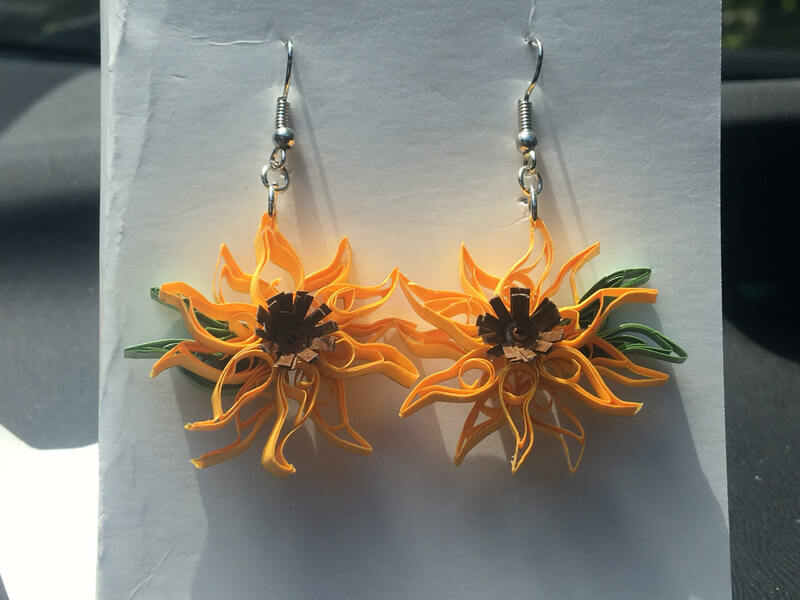 These are one of a kind quilled art paper earrings in a sunflower design. 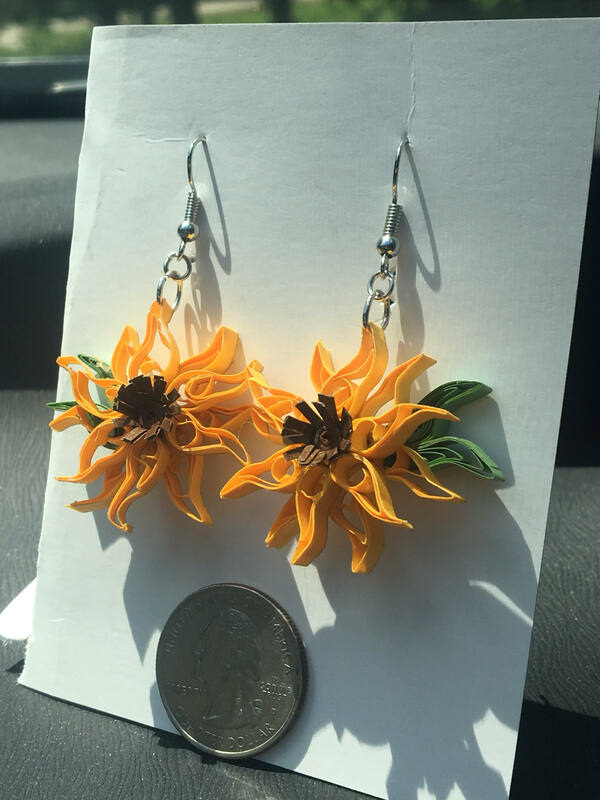 They are 1-1.5 inch wide and long with a total length of 2 inches. See quarter in pics for reference. The earwires are fishhook style. 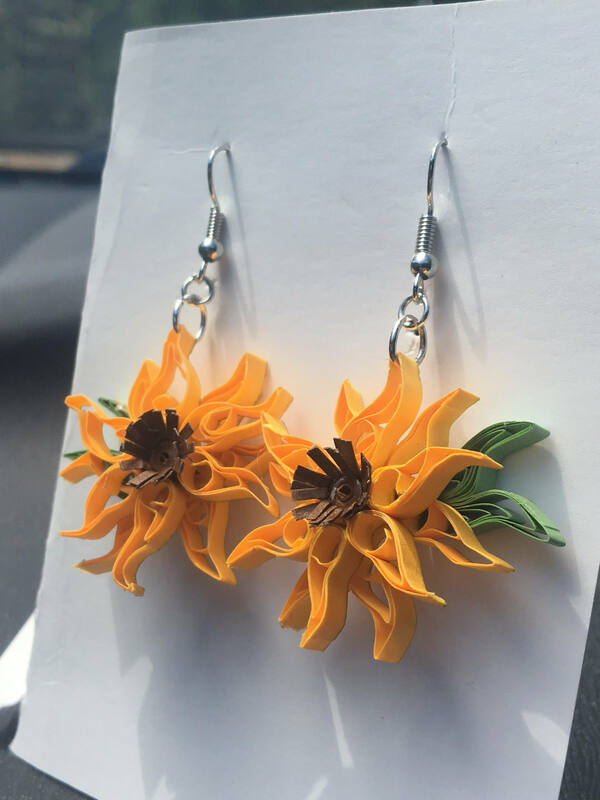 The earrings are made of 1/8" wide paper in yellow, brown and green papers. 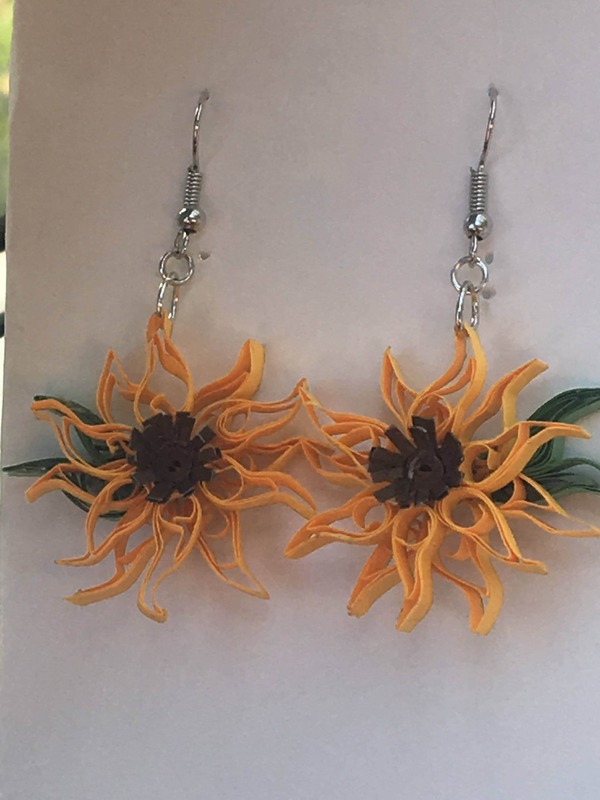 I have also sealed these earrings with a clear sealer to enhance the durability. 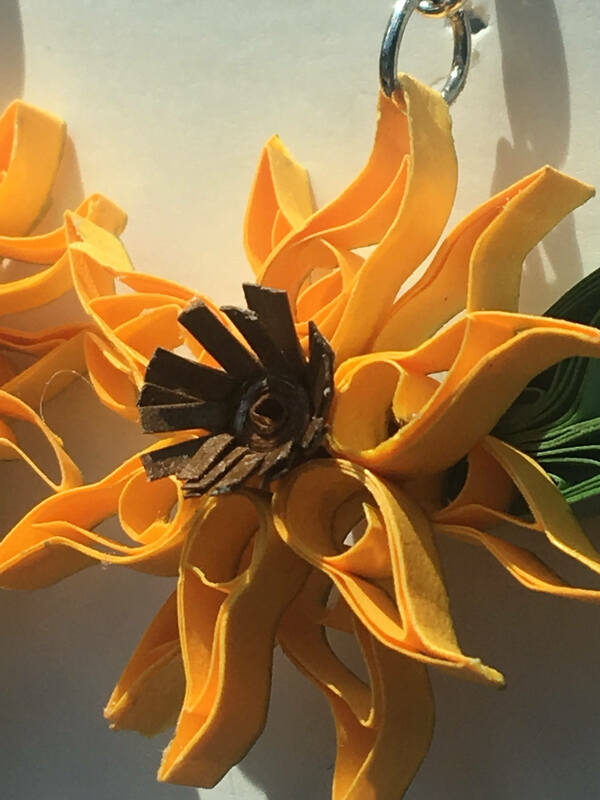 These are perfect for yourself or as a gift!